​Sterling Heating & AC is the oldest and most popular heating and cooling contractor in the community. We have been in business since 1999, and goal is to make your heating and cooling dream a reality. In the end, you receive attractive and appealing high-end heating and cooling work. We are the place to come to for people who demand the best! We create the heating and cooling maintenance service that delivers old-school workmanship, providing what you need for any room or area. We are the best heating and cooling maintenance provider when it comes to quality, originality, and the right service matters. If you have a challenging job that requires your HVAC unit to be a specific shape or size, you have arrived at the right place. We know that most people cannot find the type and style of HVAC unit they are looking for at a big box hardware store. ​​Whether it is a repairing an existing AC unit, or you need a new one installed, we will customize any of our services to give you what you need. We have a huge selection of HVAC units to choose from, guaranteeing you can have the ideal heating and cooling system for your business or residence. If you are looking for a heating and cooling service company that provides 100 percent client satisfaction in the area, reach out to Sterling Heating & AC. Tradition, craftsmanship, and dependability are words many associated with our heating and cooling service business. To find a close-knit business, still ran by the members that established it 27 years ago, is a rare, priceless gem. At Sterling Heating & AC, you will find dedicated individuals who take pride in their work and their high standards. We pride ourselves in offering some of the most versatile heating and cooling services available in the industry. Looking for the Best Heating & AC Company in Sterling, IL for your Repairs and Installation? We have been successfully reinventing HVAC systems and the sector as a whole for a long time. Our objective is to take existing heating and cooling units and re-work them to your specifications to preserve your property, promote recycling, and make memories. We want you to get exactly what you want and need with heating and cooling. We are passionate about what we do, and we are always up for a challenge, as well as pushing the limits of possibility, especially when other HVAC service businesses say it is impossible. 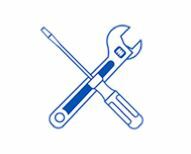 We offer expert advice on your HVAC repair and improvement needs. We work tirelessly to becoming your one-stop source for services for hundreds of name brand HVAC products in your business or home. If you are looking for a heating and cooling business that has a pleasant and kind staff to assist you, head on over to Sterling Heating & AC. We are the neighborhood heating and cooling service contractor. We have the services to satisfy all your HVAC requests. We offer a full range of heating and cooling maintenance services. We are constantly looking for ways to help you improve your project, while providing first-class customer service. Our staff goes the extra mile to make sure that you have the perfect experience, and you get what you are looking for. With our numerous years in the industry, we can answer the smallest need and help to figure out the biggest problem, regardless of your project. When you come to us, you will find a good conversation and advice, a wide range of services, and a helpful staff. We are devoted to excellence in the industry, striving to be the best heating and cooling company. We combine a knowledgeable staff, individualized service, and an “old-time” approach. We stock a broad range of products for both your residential and commercial heating and cooling needs. We can help you with any task, large or small. Whether you need a furnace replaced, or you need to get a central heating and cooling system installed in your new home, we have the expertise and materials to complete the job. Since we founded our company, it has been our goal, at Sterling Heating & AC, to become the top provider for heating and cooling services. We focus on heating and cooling services for the home and office. We are a thriving heating and cooling business, and we take pride in being a place that takes care of our customer’s needs. We are always improving on existing services. We want to be ensured that you find the type of service you are looking for the first time, every time. We can help you with your heating and cooling installations, repairs, and so much more. We are marching onward with dedication, purpose, and a focus on of where we are headed and the resources to get there. Our mission is to continue to distinguish ourselves as the leading source for unique high quality heating and AC work and the best professional service. In recognizing our customers’ satisfaction as the most meaningful measurement of our success and our most powerful resource for continued growth, we dedicate ourselves to giving total customer satisfaction in all we do. We help you start your projects off right with superior customer service and a free estimate, as well as our know-how answers to all your questions. ​Heating & AC is your one-stop destination for all your heating and cooling needs. Explore our options! We specialize in translating our clients’ ideas into spectacular individualized heating and cooling services. Every heating and cooling unit we service is customized to solve specific issues. With our services, we represent the integrity of the past and the state of the art of today’s workmanship in the heating and cooling industry. Based on precision craftsmanship, we have become the touchstone for the finest in heating and cooling services. If you want the best HVAC contractors, consider our specialists. We have been providing heating and cooling services since 1999. As such, we service HVAC units in a consistent and competent manner for better quality and functioning equipment. Over the years, it has been our objective to deliver high-quality workmanship right to your doorstep. 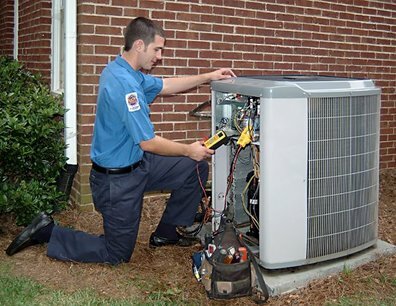 We possess a team encompassed of the best HVAC technicians in the industry. Our heating and cooling professionals bring integrity and honesty back into the HVAC contracting trade where too many contractors forget to use proper customer service techniques. With us, you are not just a customer. You are our number one priority. You are our VIP, and all our hard work is for you. We take great pride in providing you with the highest quality products and services. We back all our work with first-rate customer support because we want you to have the best experience with our company. We form relationships with our customers centered on upfront communication, receptiveness, and an intense yearning to always perform our absolute best. Any service performed on your home or business deserves extra attention. There are too many heating and cooling contractors in the industry who just do not care, and we believe this attitude is unacceptable. We combine dependability and value for an end result you will reap the benefits of for years to come. We’re not in business for today, we’re in business for tomorrow. We are building our excellent reputation one person at a time. You will find us to be reliable and professional, as well as having a sense of urgency needed on fast-paced projects. Our team is devoted to ensuring customer satisfaction through competent and skilled craftsmanship at a competitive price. At Sterling Heating & AC, our contractors pay attention to the details on every project, large or small. When quality matters, we invite you to schedule a free estimate. 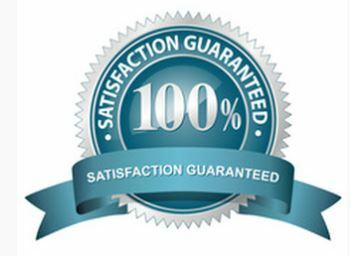 We want you to discover for yourself why we have earned a reputation as the best business to complete your residential or commercial heating and cooling service project. Our heating and cooling crew does not skip steps, and we use only high-quality equipment and tools. This is what makes our business different; we really want your HVAC unit to last a long time. ​​​Your needs and requests dictate the best work based upon cost and timing. The beautiful, long-lasting, professional results we deliver do not happen by accident. It is all about professionalism, care, and commitment of every contractor on our crew. Our aim is to realize the full potential of heating and cooling in its ability to improve the lives of our customers, ourselves, and our community. We offer affordable costs on our services. We also received several five-star reviews by our existing customers. If you want the preeminent heating and cooling business in the area, consider Sterling Heating & AC. If you look at your heating and cooling unit, and you think that you should get it examined, you have come to the right place. As the top business where you will find a skilled local heating and cooling expert, Sterling Heating & AC provides high standard, quality work for any of your residential or commercial heating and cooling projects. You can be confident that we will provide you an excellent heating and cooling service job that will last well as a price to fit within your budget. We will enhance your property with top-quality heating and cooling services and techniques. Our contractors will be proficient and respectful of the disruption of your home or office. We understand the needs of our customers, and we fulfill those using excellent products. Simply put, we service with pride. As a first-class heating and cooling service contractor, we are proud to be able to offer a wide variety of choices, from furnace installations to AC repairs. Our friendly and skilled crew is passionate about their heating and cooling work. If you are moving and you need to get the heat and AC fixed in your new place, or you want the existing one inspected, let us handle the project. This is a great idea considering the fact heating and cooling costs can escalate quickly and moving to a new property brings extra costs. When we provide our heating and cooling services, we know that it is imperative to keep your budget in mind. However, we do not cut corners just because our prices are very economical. We have proven ourselves highly successful with even the most complex heating and cooling service jobs. To update your living or workspace with a heating or cooling system work, try Sterling Heating & AC. We are the principal heating and cooling contractor in the surrounding areas. We provide on time workmanship and first-rate service. Our heating and cooling services provide functional HVAC units for your home or business. 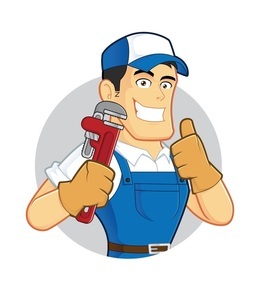 Even if you are relatively handy, certain heating and cooling service projects require certain tools and skills that you simply may not have. 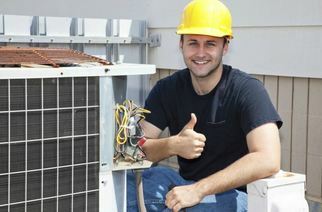 There is no need to risk injury or property damage when you employ us as your heating and cooling service contractor. With us, you save time, aggravation, and money. You benefit from our quality craftsmanship, competitive prices, and dependable service. The days of one-fits-all HVAC systems, as well as heating and cooling services are over. We are pleased to assist you in deciding on the best HVAC unit for your home or business. Whether you are in the midst of remodeling your living or workspace, or you are involved with a new construction, our heating and cooling systems makes your property that much better, helping you in creating wonderful, functional spaces. We take pride in our craft, and we go the extra mile to please our customers. If you want exceptional heating and cooling services for your home or business, come to Sterling Heating & AC.